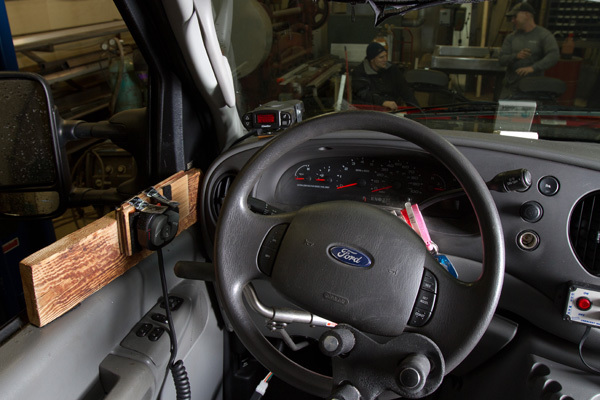 What do you get when you cross a Quigley 4X4 Ford van with an 8’ Super-Duty Straight-Blade Snowplow from BOSS utilizing the fine art of metal fabrication? A highly functional plowing system. That was the challenge BOSS customer Russell Langmaid presented to JL Custom Fab, a regional BOSS distributor based in Bowdoin, Maine. Russell, 53, owns, manages and rents two properties and plows for 20 residential driveways. He required the fabrication work to accommodate his vehicle due to a spinal cord injury he suffered while still in his teens. He needed the van and plow for clearing the driveways of the properties he manages. 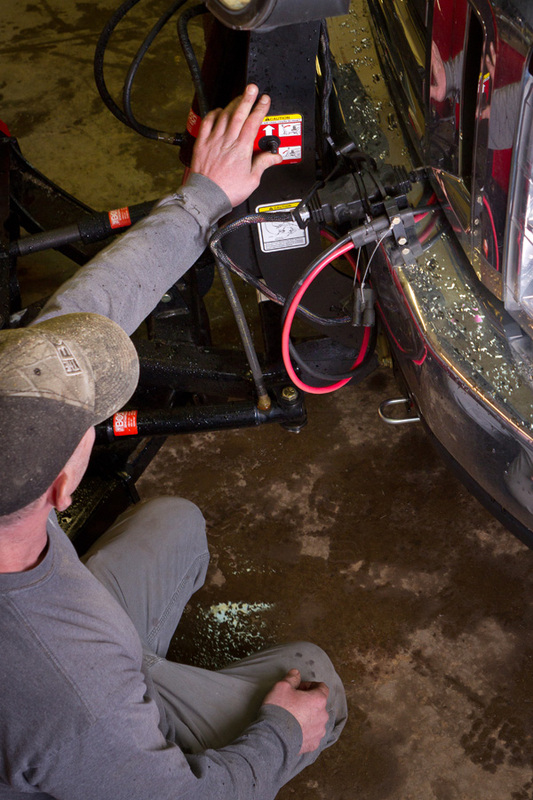 “This is the second custom van plow installation JL Custom Fab has done for me,” Russell explains. “Their customer service really is extraordinary. Whatever the challenge, I know that I can count on them to find the right solution.” JL Custom Fab was founded in 2005 and is owned and operated by Jay and Sara Lacharite. Jay and his wife became BOSS dealers shortly after starting their business and today plow sales represent nearly half of their gross revenue. Along with serving as a regional BOSS sales/service representative, JL Custom Fab also operates a custom fabrication business working with all types of metals, something of a dying art in today’s highly automated society. These skills gave Jay a unique opportunity to apply his “heavy metal” training to the task at hand. 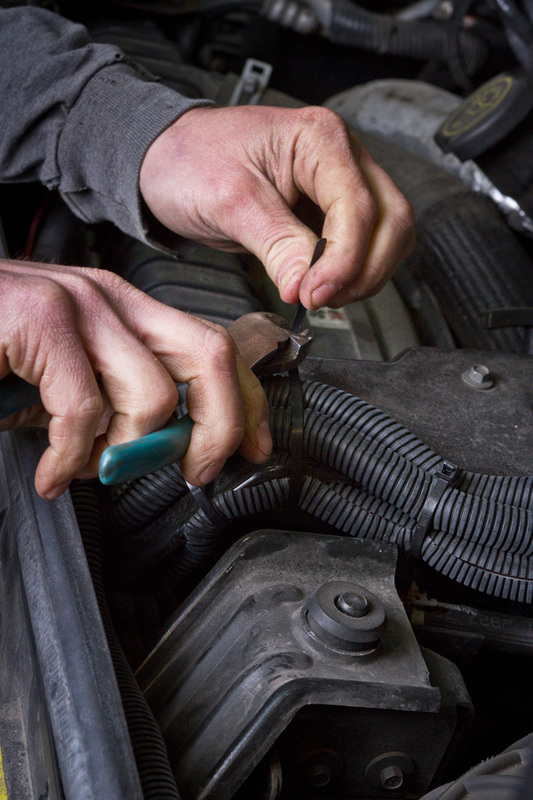 JL Custom Fab prides itself on providing services that are hard to find in the area. With the ability to weld all types of metals, the company can build or repair just about anything the customer desires. 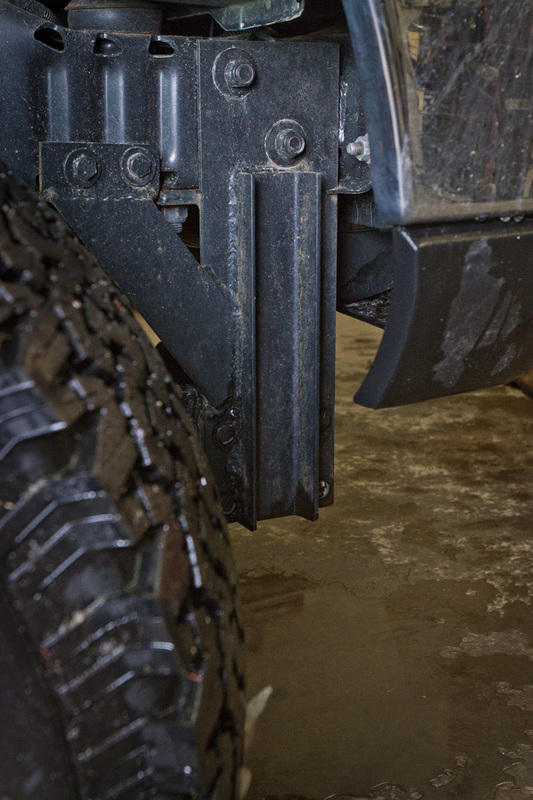 For this custom job, Jay used his experience with BOSS undercarriages to make his own custom mount using the push beam from a Dodge Ram 3500 Heavy Duty Pickup Truck. The first stelp involved ensuring that the height and width of the vehicle’s frame would work with the push beam. As Jay explained, it really wasn’t much different from any other custom install outside of a few additional hours of labor. One challenge: Jay had to extend the battery cables to reach the batteries that are located under the vehicle about halfway back to the rear. They were difficult to get to and with a very tight tolerance. Jay had to make up an extension harness and properly seal it to keep it out of the elements. Russell came up with his own way to mount the SmartTouch 2 Controller. 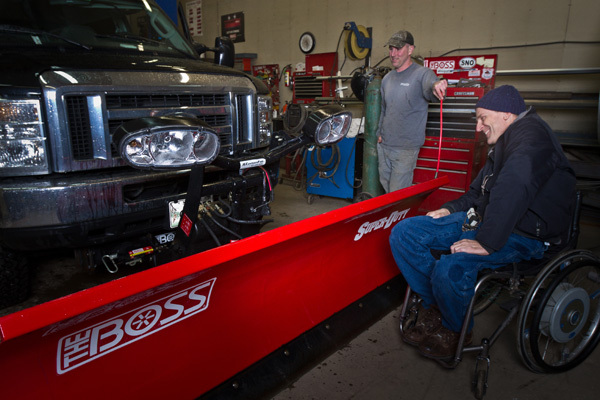 Nestled between the Topsham/Brunswick-Augusta and Lewiston/Auburn area, JL Custom Fab started as a BOSS dealer in 2006 selling 10 plows their first year. After advertising their custom welding capabilities and doing lots of customized fabrication on trucks, trailers and other types of equipment, Jay and Sara began manufacturing aluminum boat docks in 2010. In this case, Jay’s experience with the welding craft really paid off for BOSS customer Russell Langmaid.